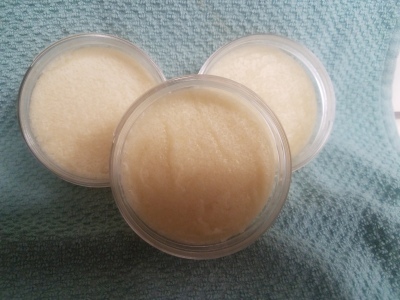 Our 4 & 8 oz sugar scrubs are made with organic sugar, shea butter, apricot oil and essential oil. lemon & peppermint essential oils. 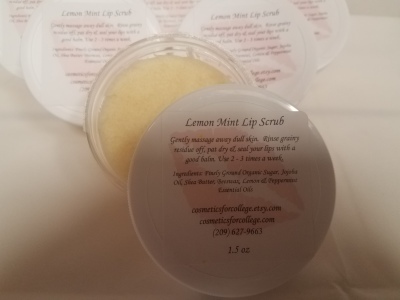 Sugar scrubs tend to be more gentle on the skin than salt scrubs. They are less drying and tend to be less abbrasive. Sugar contains glycolic acid helping to protect skin against harmful toxins and helps to condition the skin. 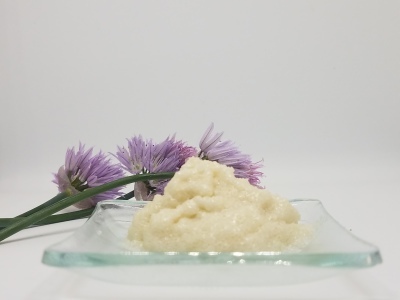 The concentration of natural vitamins and fatty acids in Shea butter makes it very nourishing and moisturizing for skin. It is often used for dry skin and to help protect the skin’s natural oils.